As any skilled angler knows, you must fish with the cards you are dealt and chase which bite is hottest on any given day. This post is more or less a collection of exactly that. The past month or so has been very good to us on the water and it’s pretty tough to be sitting here and typing this instead of chasing fish. Flash back to the start of May. Many different bites were picking up and it was actually difficult to choose which species to target. I got word from a good friend that the Carp were on fire at a lake I hadn’t fished in years. I made it a point to leave work on time and gun it down the interstate for some evening carping action. Fishing late into the evening, I decided I better pack it up and head back to RVA that way I could get a little sleep before the next work day. While loading up my gear I received the drag peeling run that I had come for. 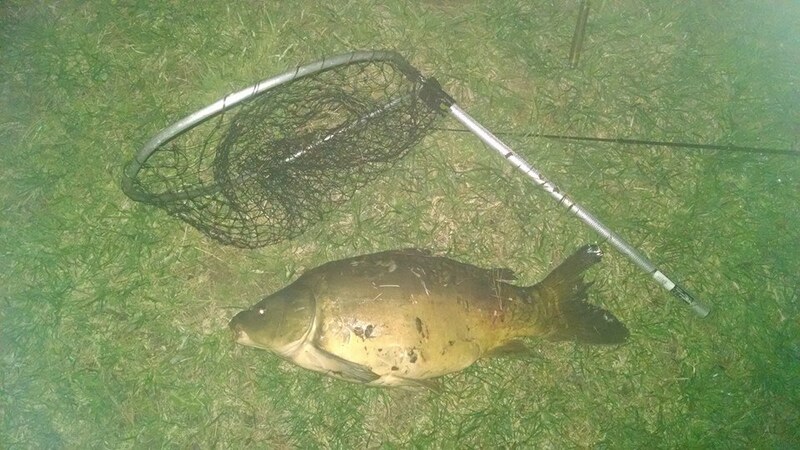 After a brief fight in the dark with no visibility due to a busted headlamp, I quickly got the fish in the landing net… the landing net that I then proceeded to break because I didn’t realize just how big the Carp was. Needless to say fishing solo isn’t always easy, it’s even harder with malfunctioning gear. 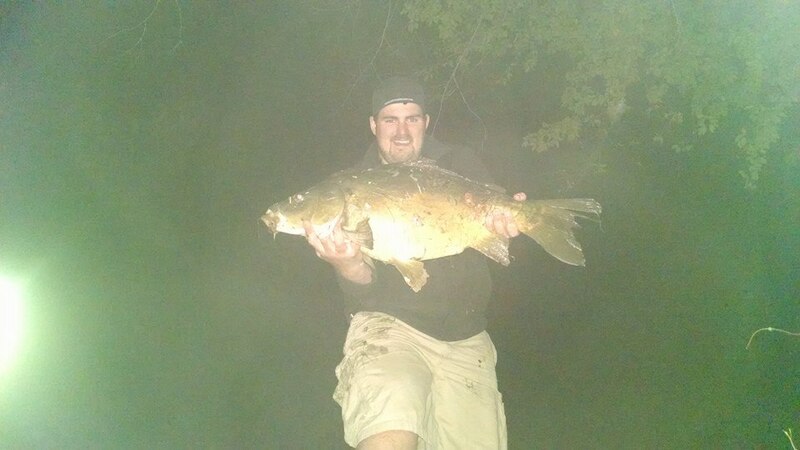 However, the struggle was worth it considering the fish tied my personal best Carp at 22 pounds. It was also my first ever Mirror Carp, a close cousin of the Common Carp. 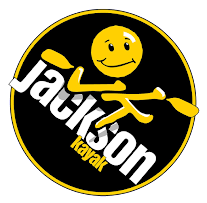 May 16 marked the 7th annual Yakattack tournament benefitting Heroes on the Water and Project Healing Waters; Two organizations that use the power of fishing and fellowship to help heal veterans both mentally and spiritually. The tournament was a blast, as always. Grant and I had a great time. Nothing is better than time spent with friends talking about fishing and getting the chance to make new friendships with other anglers in the sport. The fishing itself was pretty tough. 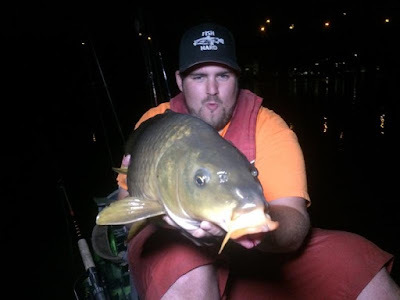 I managed a few decent fish that landed me 3rd overall, edging Grant out by only .25 inches… which is pretty amazing considering we fished for 9 hours straight on two completely different parts of the lake. You never know how much those precious extra centimeters can matter! More importantly the tournament raised over $10,000 (I don’t recall the exact figure at this moment) for a great cause. Needless to say we can’t wait for next year! As we approached June the fishing continued to get better. 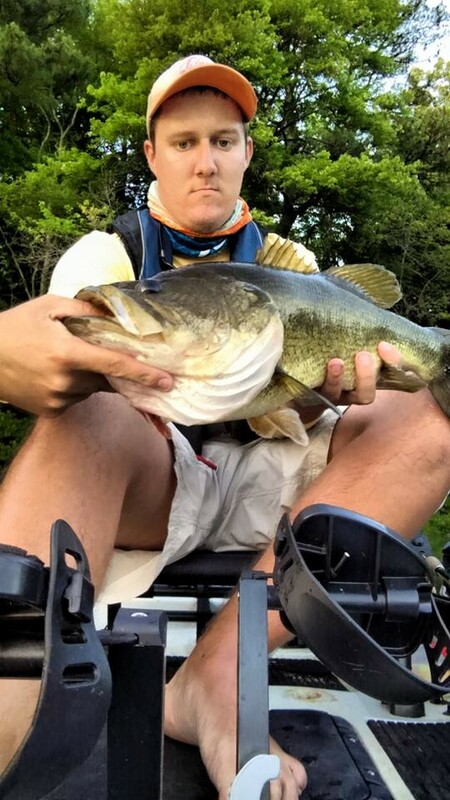 Grant bagged a nice 6.9lb, 23.25” post spawn Largemouth that crushed a white Buzzbait he was working near the shoreline. 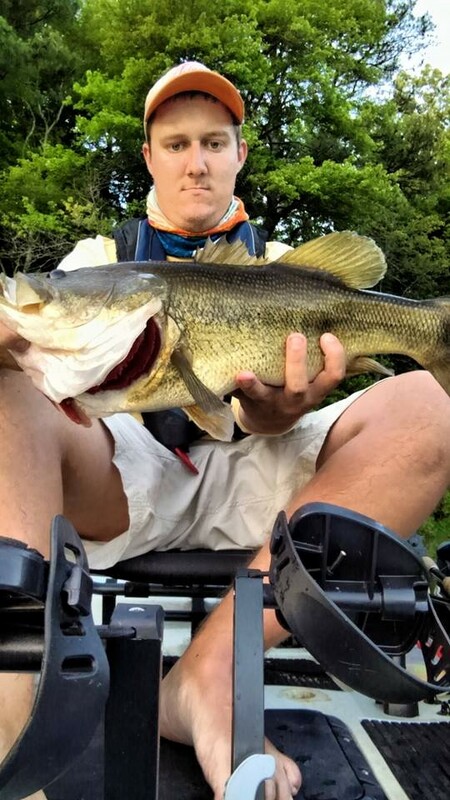 Once female bass get over the rigors of spawning they tend to be very aggressive in an attempt to regain whatever body mass they may have lost during the spawn. The topwater bite tends to heat up as well due to the increase in temperature along with the aggressiveness of the bass. Frogs and Buzzbaits work great during low light conditions, early morning, late evening, and overcast days for example. More recently we've been focusing on some of the "roughfish" species, specifically Longnose Gar and Common Carp. 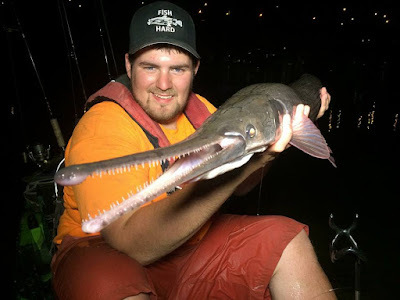 Gar are opportunistic fish and will very rarely pass up an easy meal. When water temps rise and the spawn approaches this behavior is even more profound. 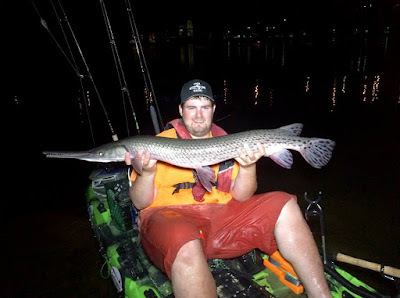 Gar become highly aggressive and will do nothing short of burning up a reel's drag when hooked. They are the heaviest during the prespawn-spawn period and they use that added weight along with their torpedo body shape to their advantage, making it almost impossible to slow down and turn a big female with a full head of steam. 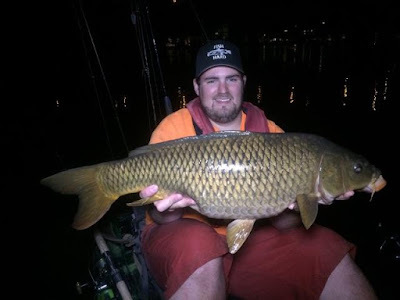 Both Gar and Carp are hard fighting fish and are completely underutilized in the angling world. Do yourself a favor, go catch one. Lastly, and most recently, I was able to get together with my good friend and mentor Stephen Miklandric. Stephen is Virginia's most decorated multispecies angler and nothing short of a machine when on the water. So it goes without saying when I was invited aboard his boat to chase some trophy fish, I was more than ecstatic. I learned a lot from my friend. Most importantly, fishing can be slow no matter who you are, no matter how good you are; as it was for us that day. However, we kept the faith and continued to fish hard, which rewarded us with a beautiful dinosaur of a different kind. The Bowfin! 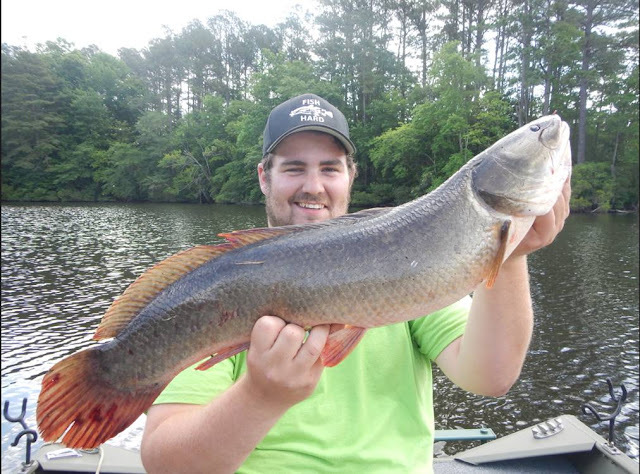 The Bowfin or Grinnel(Grindel) dates back millions of years, as does the Gar, and though they are hated by most Bass anglers and feared by many for their sharp teeth and ferocious attitude, Bowfin are actually one of the few trophy eligible species that are actually native to Virginia. For a Bowfin to qualify as a trophy in Virginia it must meet or exceed 30 inches in length or 10 pounds. Luckily for me, my fish went 31 inches and 11.20 pounds, a true beast! As with all of my catches, the gnarly beast was quickly photographed and released to be caught again someday! That's all from our corner for now. We've been fishing relentlessly and will continue to do so in the coming weeks. 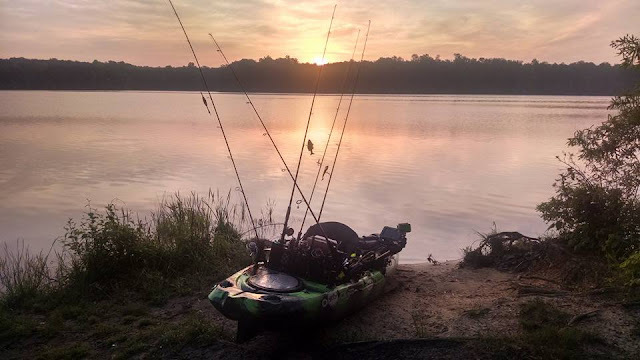 So much time on the water makes it hard to type reports for the website, so if you are interested in seeing more content on a more frequent basis I recommend "liking" our Facebook page www.facebook.com/peelindragextremefishing. The fishing is only going to get better as the year pushes on and I really hope you chose to follow us on social media if you haven't already. There's sure to be more fish pics coming and undoubtedly more trophy fish destined to be caught! Stay Tuned!